House names open up a whole new area of naming rights. Some houses, such as Westray Villa in Canning Street, have a demonstrated connection with the original owner, while others were named at the whim of the builder. Themes are common for a row of houses by the same builder: Floral themes such as "Daphne, Violet and Pansy" and the shipping themes "Suevic, Afric and Runic". Houses were sometimes named after the street in which they were built and, as the house names were not regulated, there was some duplication within the same suburb. For example, there was once a short street named Rathdowne Terrace off the southern end of Rathdowne Street, and a more substantial terrace of three double storey houses, with the same name, just a few blocks away. The origins of many of these names have been lost in history and are often the subject of speculation. Carlton Community History Group acknowledges the importance of place and house names as part of our heritage and we are documenting these from available sources. Contact us if you can contribute to this important line of research. North Carlton has three princely locations - Princes Hill, Princes Park and Princes Street. CCHG has recently been asked to research the naming of Princes Hill, the area north of Macpherson Street and west of Lygon Street. Our investigations have turned up several contenders for naming rights, all members of British royal family from the nineteenth century. Prince Alfred's royal visit does not fit within the time fame for Princes Park. 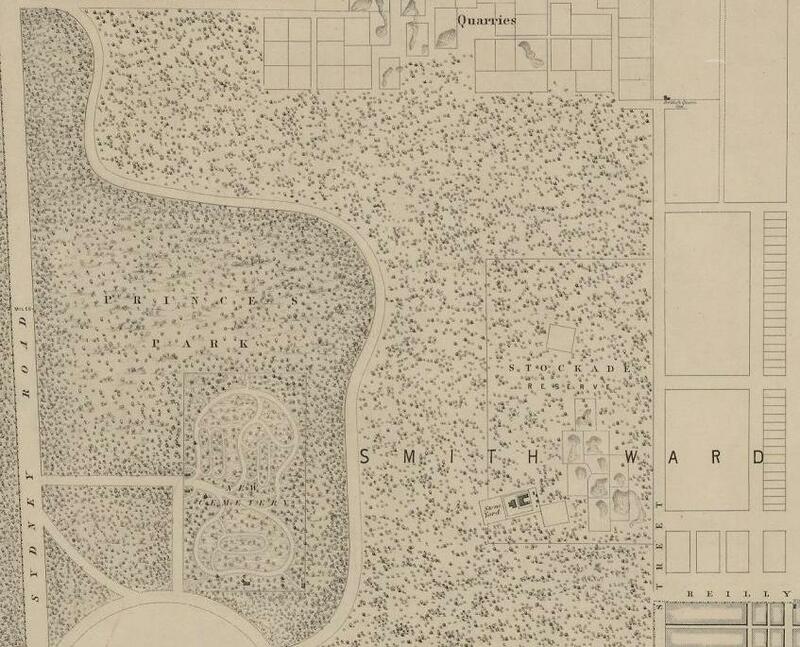 The area named as "Prince's Park" appeared on the Kearney map of 1855 and the land was permanently reserved in August 1864, three years before Prince Alfred's visit. So Prince Alfred is no longer a contender for the naming of Princes Park, but he could still be in the running for Princes Hill. Showing location of Prince's Park, the Cemetery, the Stockade Reserve and Smith Ward. Reilly Street (lower right hand corner) was later extended into Carlton and renamed Princes Street, circa 1880. In July 1883, The Age and The Argus reported that a deputation of residents approached the Mayor of Melbourne requesting the area behind the cemetery to be named Prince's Hill. The proposal was positively received, as it did not involve the renaming of existing streets, and the seed of Prince's Hill as a suburb was planted. The question of which prince gave his name to a suburb thousands of miles away from his home country is still open. Princes Hill has close historical and geographical links with Princes Park, as the area north of the cemetery was once part of the same park. The suburb may well have been named after Princes Park, in which case Prince Albert and his son Albert Edward could be rivals for the naming rights. Prince Alfred's visit of 1867 does not fit into the time frame for the naming of either Princes Park or Princes Hill. The younger Princes - Albert Victor and George - may have some claim to the naming of Princes Hill (but not Princes Park) in terms of the timing of their visit in 1881. None of these claims is supported by firm documentary evidence and CCHG is seeking your help. Contact us if you can shed any light on the naming of Princes Hill. 11 Wikipedia is a wonderful resource, but the information content is variable in accuracy and subject to revision. The entries for Princes Hill and Prince's Park (Liverpool) were accessed 5 March 2019. 15 Parish Plan of Jika Jika, M314 (14) and land title records. For more information on the squares of Carlton - Argyle, Curtain, Lincoln, Macarthur, Murchison and University - see our August 2018 newsletter. 6 Argyle Square and Macarthur Square were permanently reserved on 13 June 1873, the same date as University Square. 1 The street names "Macarthur Place" and "Macarthur Square" have been used interchangeably over time, but the official name is now "Macarthur Place" for the street and "Macarthur Square" for the reserve area in the centre. The land of Macarthur Square was permanently reserved from sale in 1873. 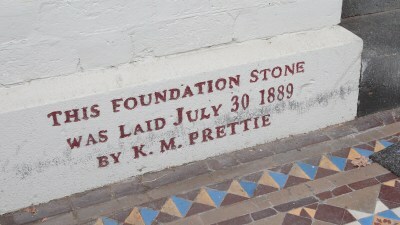 6	The original cottage dates back to the early development of Macarthur Place in the 1860s. 9	Avoca is the name of a town and river in County Wicklow, Ireland. If even a portion of what the Banner of Belfast states concerning the local hospital be true, the hospital committee would appear to be very lenient in discharging their duty, to say the least : – "We learn that the committee appointed to investigate the charge made by the girl Mott have virtually shelved the case. We are also informed that notwithstanding that the committee were specially instructed to inquire into the general management of the hospital, no such inquiry was made ; on the contrary, that those anxious to do so were obstructed. From the time of this occurrence there seemed a very anxious desire to hush it up, and the girl was prevented laying a [sic] criminal information against Papley. In her subsequent statement she does not accuse him of any criminal intent, but this was after certain influences were exerted to silence her. If she had been of that opinion at first, why go to the police court to lay informations [sic] against Papley? Papley's statement that the affair was a 'lark' is not worthy of belief. Neither is it consistent with his statement that he was about to destroy himself because his father had compelled him to go to Mr Burnett's revival meeting, where he met the girl Mott. If the committee believed that statement they would have had him arrested as a dangerous lunatic. There can be no doubt that the girl was tampered with, from the discrepancy between her written statement and that made by her at the police office. That the committee stood between the culprit and the law – that they burked the inquiry into the general management of the hospital – is proof sufficient that the investigation was a mere sham. To delay inquiry for three weeks, until the matter was quietly arranged, looked also like a pre-determination to hush up the affair." "LOST, a GIRL, three years old. Had on a man's cloth cap, polka jacket, and stripe pinafore; Name Phoebe. Address Mr. Cormack, 85 Faraday-street, Carlton. MRS. Power has accommodation for ladies expecting; terms moderate : doctor in attendance. Westray Villa, 248 Canning-st., N. Carlton. At the time, it was not uncommon for maternity services to be offered in private houses. Mrs Power may have been a registered nurse, or an experienced midwife, and the attendance of a doctor was likely to inspire confidence in her services. Phoebe may have, through financial necessity, rented out one or more of the eight rooms in the house to Mrs Power for maternity purposes. CORMACK. On the 13th March, at her residence, 248 Canning-Street, North Carlton, Phoebe, widow of the late W. Cormick. A colonist of 60 years. Interred privately Saturday, 14th. A patient sufferer at rest. Deeply regretted. Eight months later, Phoebe's brother James Papley died in Portland, aged 88 years. That Phoebe and James cheated death on the Ticonderoga and both lived into their eighties is a testament to the strong constitution of their Westray ancestors. 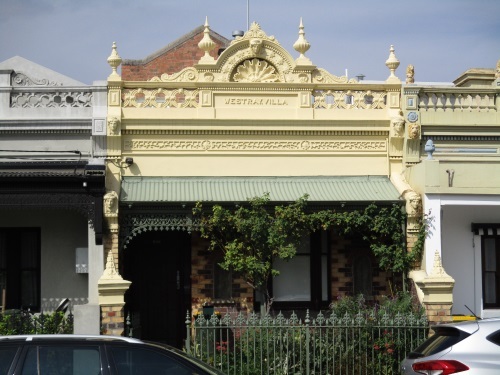 Information on the history of the house known as Westray Villa is taken from Research into 248 Canning Street, North Carlton. (National Trust of Australia. Victoria) This document includes some biographical information on the Papley and Cormack families and, where sources exist, these records have been cross-checked with immigration and shipping records; birth, death and marriage records; census records ; probate documents ; land titles and electoral rolls. Michael Veitch's 2018 publication Hell ship : The true story of the plague ship Ticonderoga, one of the most calamitous voyages in Australian history gives a detailed account of life and death on board the Ticonderoga, and the events that led to the tragedy. The Port Fairy Historical Society provided information on the family of James Papley and their assistance is gratefully acknowledged. 5 According to the Scottish Girls Names website, the names "Jessie" and "Janet" are synonymous. 7 Scarlet fever and typhus are bacterial diseases, which can now be treated with antibiotics. The mode of typhus transmission via human body lice was not understood until the 20th century. 8 Some sources state that James Papley's infant son James died either during the voyage or in quarantine, but his name does not appear on the list of deaths. The birth of a child named James was registered to James and Jessie Papley at Belfast (Port Fairy) in 1853. James Papley junior's obituary, published in the Port Fairy Gazette of 28 June 1917, states that he was born in the Orkney Islands in 1852. 12 Victorian birth records confirm that Phoebe Mott was a local girl, born in Belfast in 1851. She would have been about 18 years old at the time of the alleged assault. 15 The births of some of the Cormack children are recorded with the maternal name variations of "Phebe", "Popley" and "Possley". 16 Building ownership and occupancy information on the Faraday Street houses is sourced from Melbourne City Council rate books (Smith and Victoria wards). 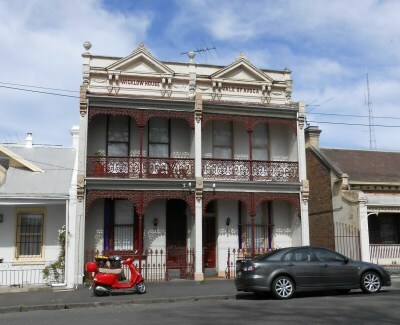 21 Melbourne City Council, Victoria Ward, 1881, no. 2538. Note: Bathrooms were sometimes included in the overall room count. 31 Rachel Cormack's date of death is confirmed by Melbourne General Cemetery records. 38 Jane Papley's occupation is listed as "Ayreshire Needlework" in the Scotland 1861 Census and "Dressmaker" in the Scotland 1881 Census. 39 Dates of death are confirmed by probate documents (where applicable), newspapers notices or Melbourne General Cemetery records. 45 Letter from Governor La Trobe to Sir John Pakington, 26 January 1853, quoted by Michael Veitch in Hell Ship, p. 242. 46 Wikipedia (accessed 14 March 2019) cites the year 1872, while Michael Veitch cites October 1879 in Hell Ship, p. 239. 47 The place name Ticonderoga Bay appeared in newspaper reports and the Victoria Government Gazette from 1853.